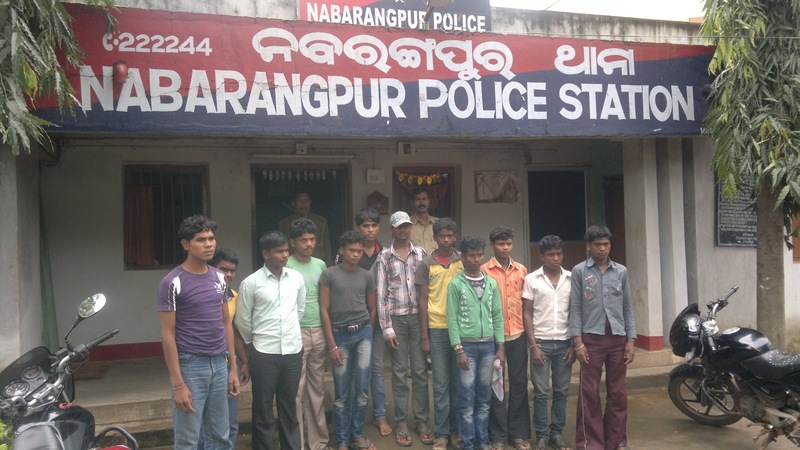 Eleven migrated labour of Jharigam and Raighar block rescued at Nabrangpur here on Tuesday. labour who are being transported to Hydrabad rescued by the police. One mediator Nimai Sarkar, of Righar police limit sending them for labour works said the IIC, Surendra Dash. Later the Police seized the vehicle and registed a case. Meanwhile the DLO Niraj Kumar Mund, reached at the police station and lodge a labour case also.